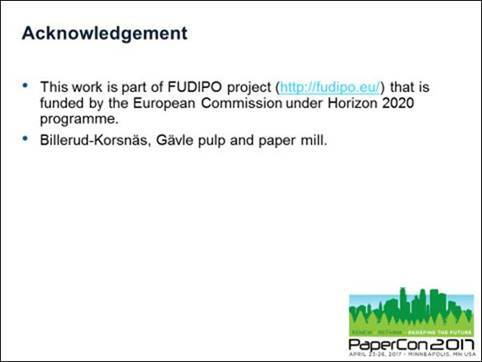 Abstract: Due to the naturally varying feedstock, significant residence time, insufficient measurements and complex nature of the delignification process, producing pulp with consistent quality i.e. stable kappa number with sufficiently high yield is a challenging task that requires multi-variable process control. A wide variety of control structures, ranging from classical concepts like cascade control, feedforward, ratio control, and parallel control to more modern concepts like model-based predictive control, is used in pulp and paper industries all over the world. In this paper, a survey of model-based predictive control will be presented along with the control challenges that lie within the chemical pulping process. The potential of this control concept for overcoming the aforementioned technical challenges will also be discussed in the second part of the paper. Particular focus will be given on the use of near-infrared spectroscopy based soft-sensors coupled with dynamic process models as an enabler for feedforward model-based predictive control. Overall, the proposed control concept is expected to significantly improve process performance, in the presence of measurement noise and various complex chemical process uncertainties common in pulp and paper applications. 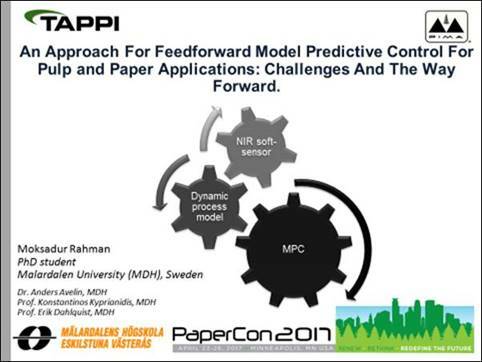 Key words: Pulp and paper, Kraft pulping, soft-sensores, near infrared spectroscopy, pulp digester model, feedforward model predictive control.